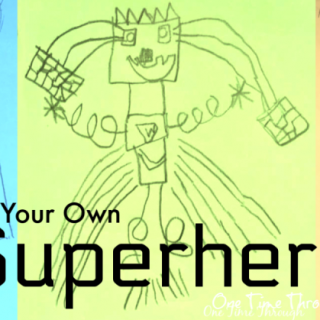 Today I have a really simple activity that you can do with kids aged 2 to 10 to help boost their math skills over the summer. 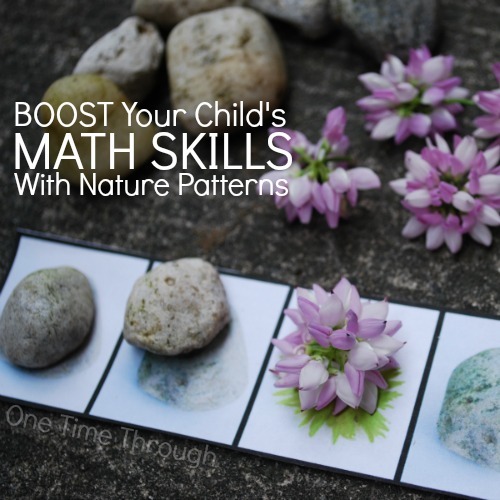 I’ll show you how to use nature patterns to get your kids thinking, learning, and having fun! 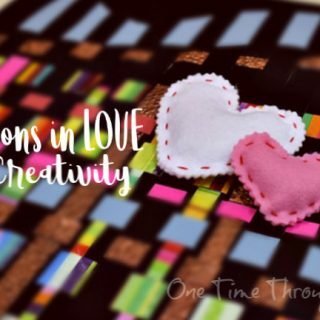 I’ve also got a free printable, lots of ideas for patterning activities, and book recommendations. 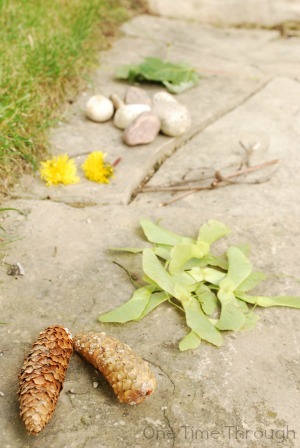 Objects from nature – can include stones, pinecones, small sticks, dandelions, shells, leaves, etc. Once you have your printable copy of the Nature Patterns sheets, cut out each pattern example strip. Then you can have your child choose 1 or more to use for the day. You will also need the blank strip to use to extend the pattern. My son and I first chose the maple key and stick AB Pattern sheet. Note: An AB pattern is one of the simplest repetitive patterns. Like blue, red, blue, red, blue, red…. or square, circle, square, circle, square, circle…. and it’s one of the easiest patterns to begin with. 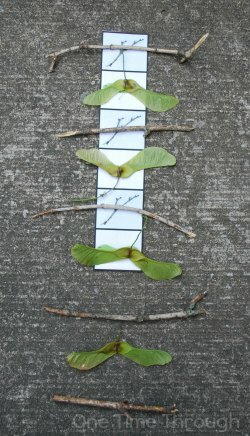 To get ready for our “work” – we went on a hunt to find lots of maple keys and sticks (collect at least 5 of each). 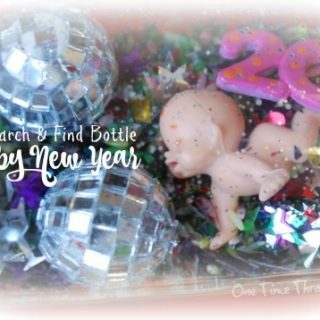 After finding our objects, I had my son match them up to the pictures on the strip. Then I asked him to tell me what would come next? He was able to do this easily. After he had extended the pattern a few more items, I modeled using my words to describe the pattern he had extended. If your child is very young, and finding this challenging, you can show them how to continue the pattern, then try a different AB pattern strip next. Since my son grasped this type of pattern well, we decided to move to a more challenging pattern. Next, we tried the Stick, Cone, Stone ABC pattern. Onetime seemed able to match the objects to the pictures and extend this pattern with a little bit of help from me. Whenever he made a mistake, I waited for a moment or two, until he said he was done. Then I asked him to look at his pattern again and listen to how it sounded. I modeled describing the pattern out loud, “Stick, pinecone, stone, Stick, pinecone, stone…” and emphasized the first object in each part (“Stick” in this case). If they don’t see the mistake, just show them what object should go there, and then work together to extend the pattern – or choose another ABC strip. Last, we tried the more difficult AAB pattern with stones and dandelions (although we used another flower instead). Onetime struggled a bit with this one. 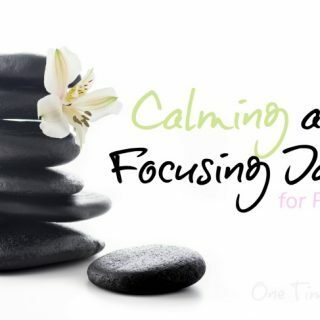 Whenever Onetime would struggle, I would model using my words to describe the patterns. 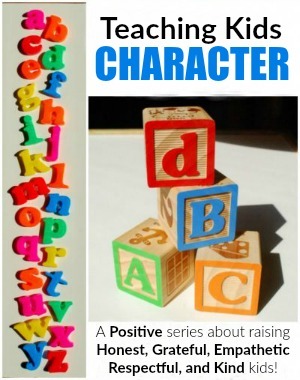 This type of speaking – can help model to your child what you want them to do eventually in their heads. Eventually, Onetime got this pattern with lots of verbal support! Another completely different way to use the strips is to print off multiple copies, cut up all the strips into squares, and have your child make patterns of their own using the photos. Onetime was able to do a simple AB pattern on his own. And after more experience with the different types of patterns, I eventually saw him starting to create AAB and ABC patterns. 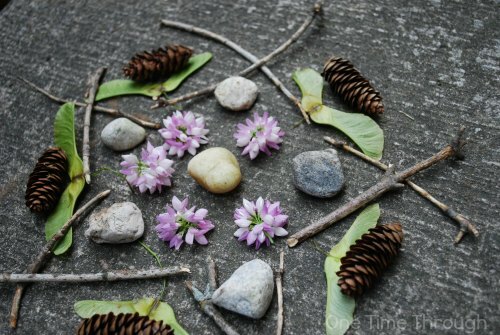 If your child is really enjoying these patterning activities, why not encourage them to try creating some circular patterns with the natural objects like the one below? 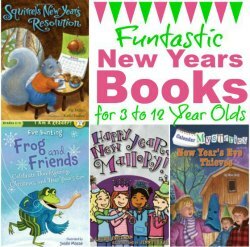 I went looking for some fantastic kids books that might support these activities at reading time and found some really fun ones! 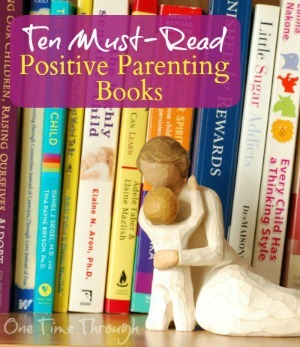 The first two books are appropriate for preschoolers and kindergarteners. 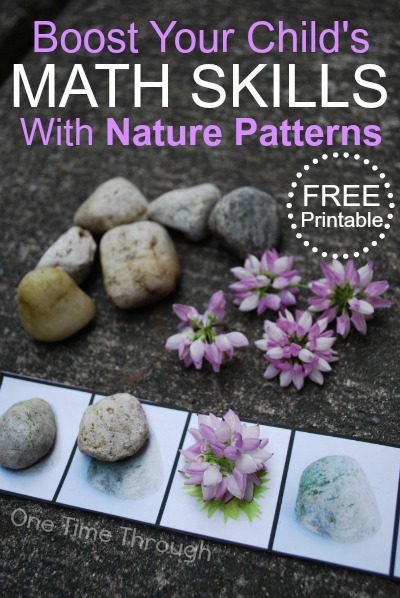 The last two can be read to kids of all ages – and have fantastic photos showing all kinds of different patterns found in nature – perfect to stimulate discussions and help make connections! 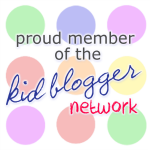 Today’s post is a part of the Cool Math for Cool Kids blog hop, which is featuring a new math post for kids each day all this month! 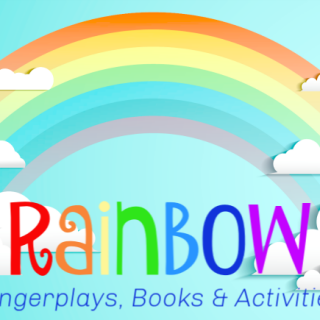 Be sure to swing by and check out all the awesome ideas and activities! 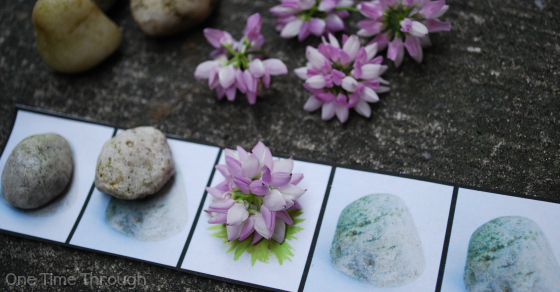 I hope you give this nature patterns activity a try – it’s the perfect way to get kids outside, playing and learning! 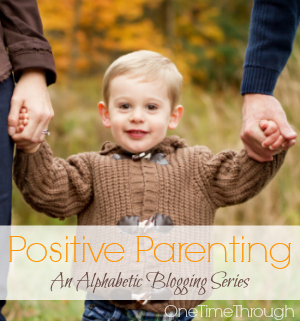 To find even more fun and educational activities as well as positive parenting tips, follow us on Facebook, Twitter, and Google+. And if you don’t want to miss out on any more of the fun we have here at One Time Through, sign up for our NEWSLETTER today. 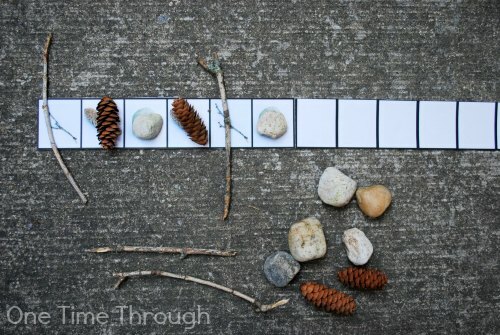 This is a great idea – looking for patterns in nature is so cool! Thank you for joining in with the Cool Maths for Cool Kids series! Thanks for dropping by Helen!